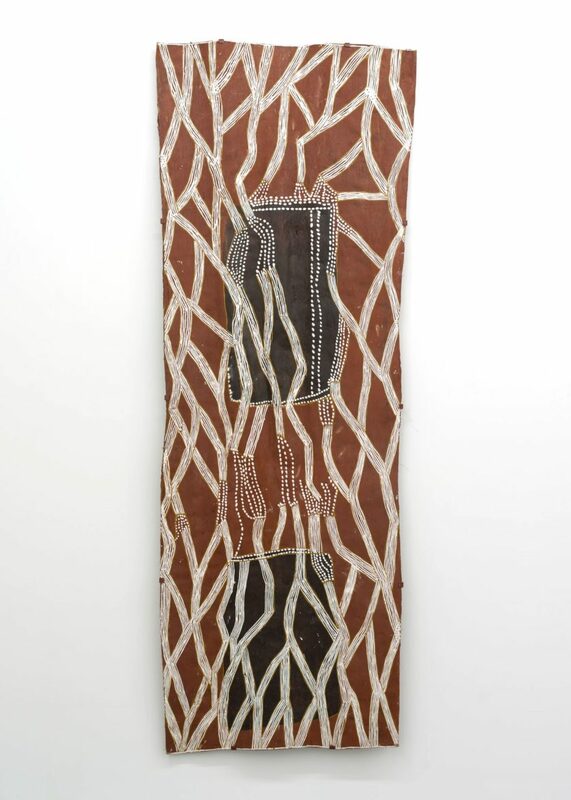 Arnhem Land is an area known for its extraordinary lightning storms. 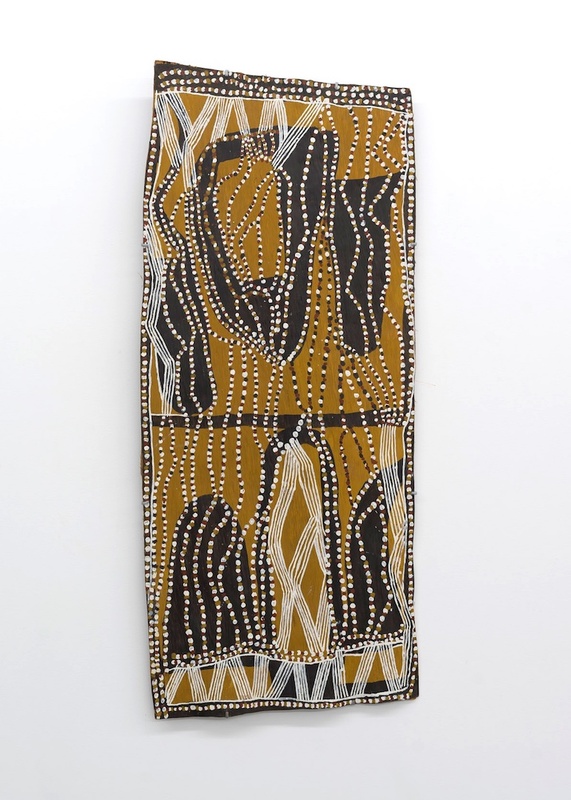 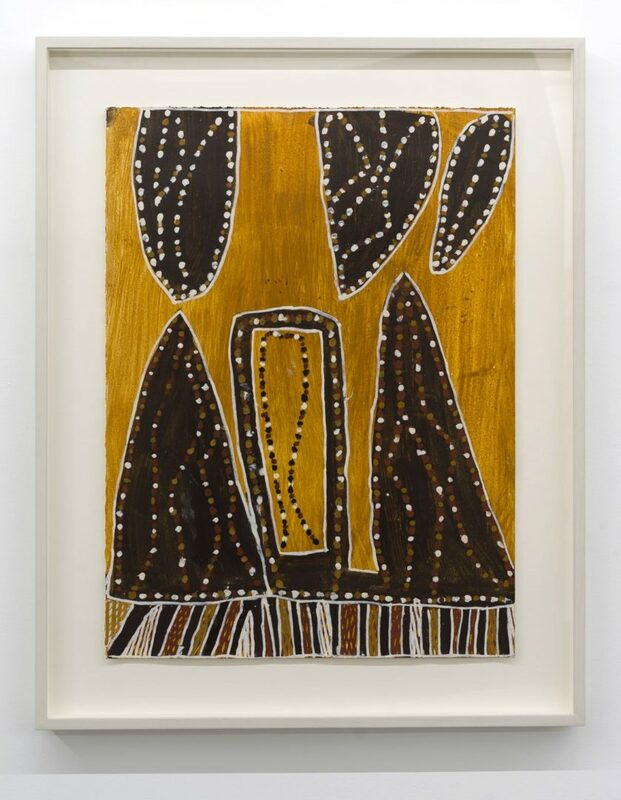 Nonggirrnga Marawili’s artworks represent the rocks, lightning and water of her Arnhem Land country in a unique visual language combining an instinctive feeling for negative space with the traditional cross-hatch motifs of her Madarrpa people. 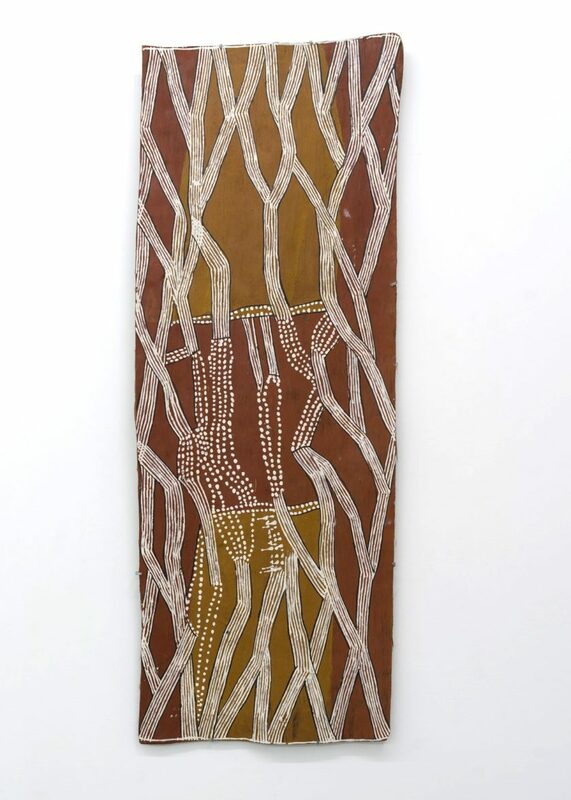 Nonggirrnga was born c.1939 in Australia’s Northern Territory. 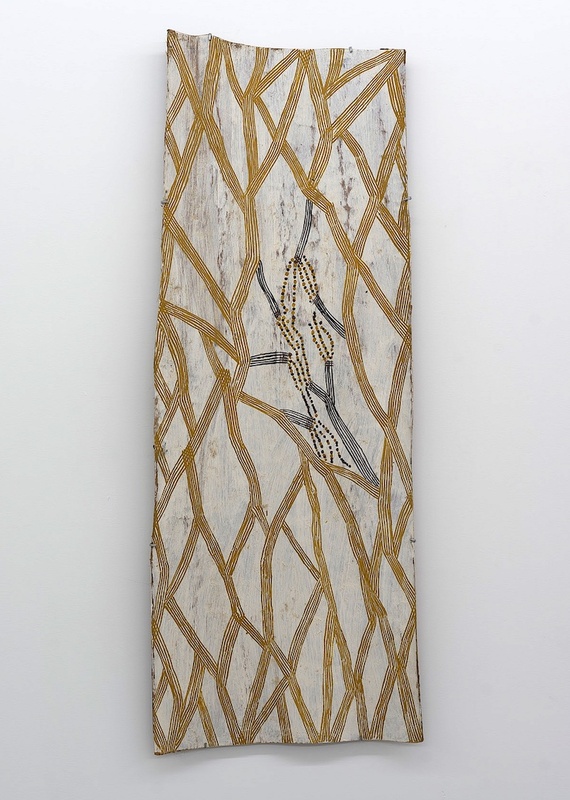 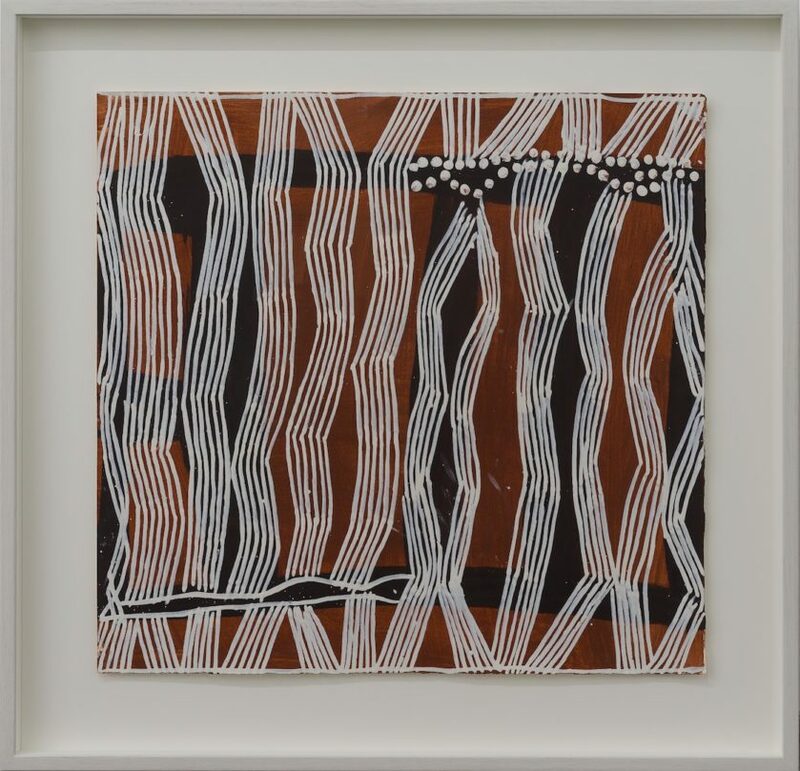 She began her career as a printmaker before shifting her focus to work in ochre and natural pigments on bark. 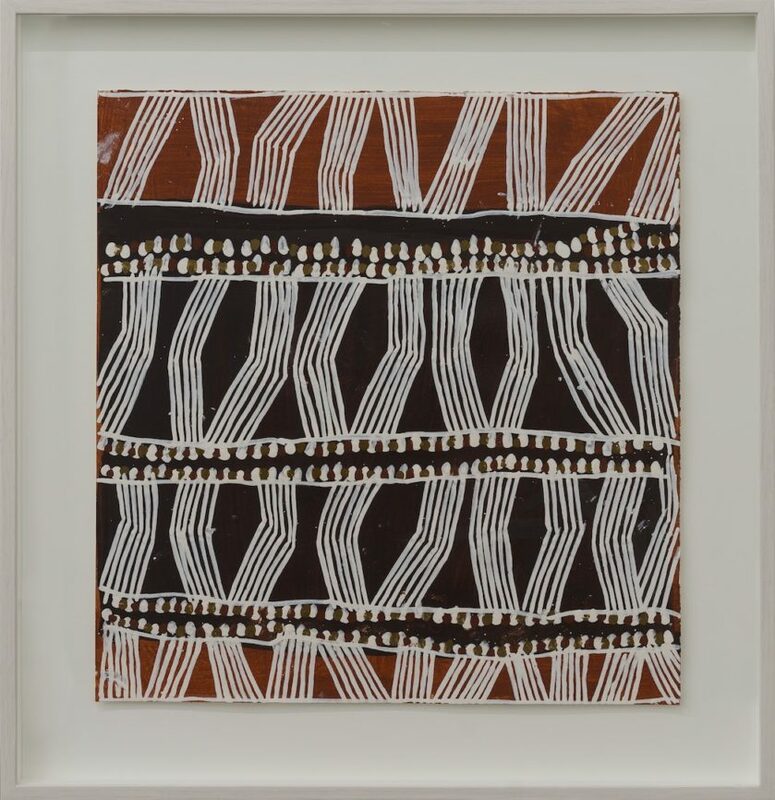 In 2015 she was the winner of the prestigious Bark Painting Award at the Telstra National Aboriginal and Torres Strait Islander Art Awards. 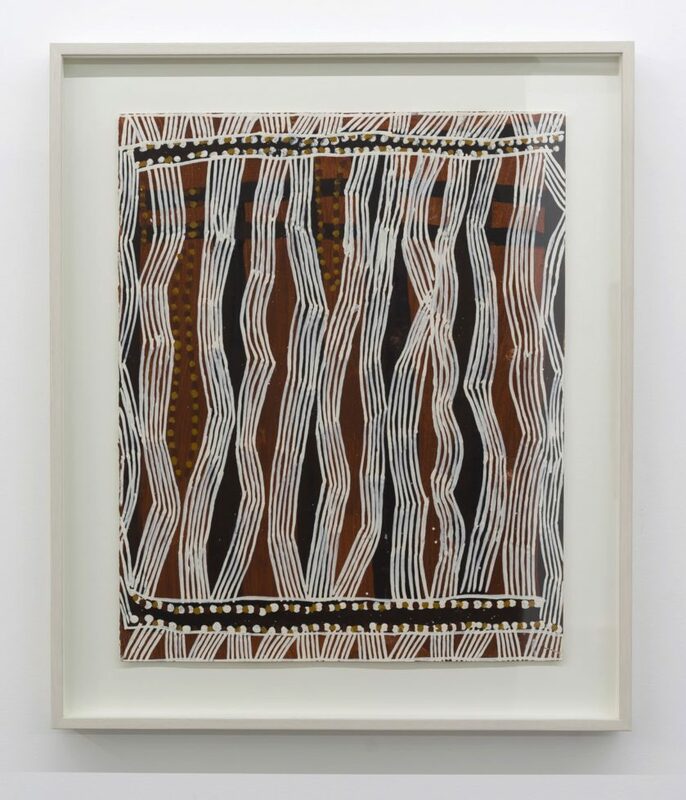 More recently her work was included in ‘Defying Empire’, the Third National Indigenous Art Triennial at the NGA, Canberra (until 10 September) as well as in ‘Who’s Afraid of Colour’, a survey of work by Indigenous women artists at the NGV in Melbourne. 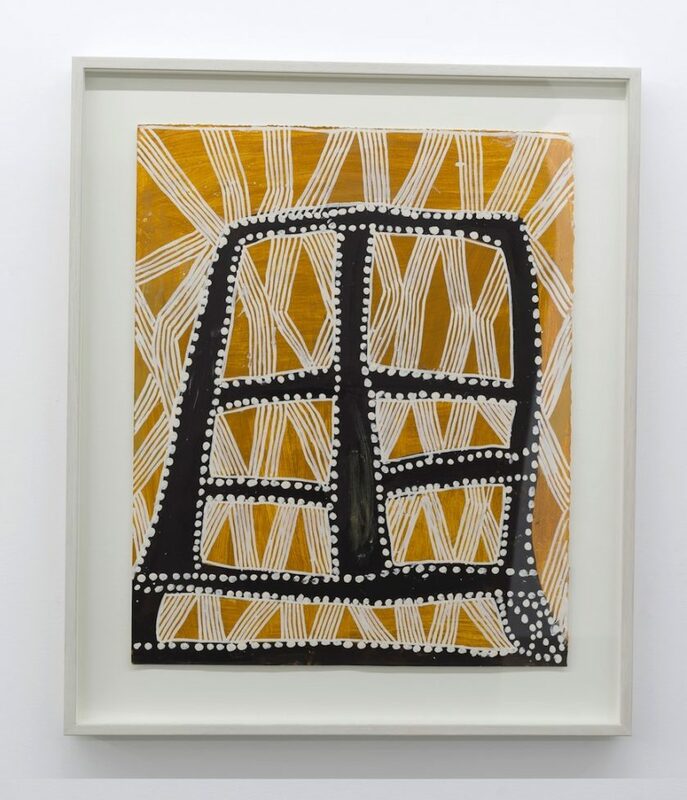 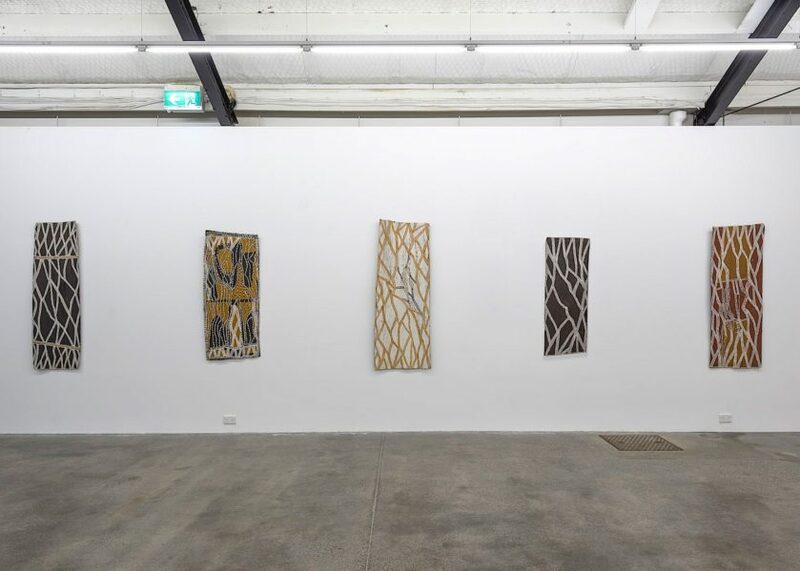 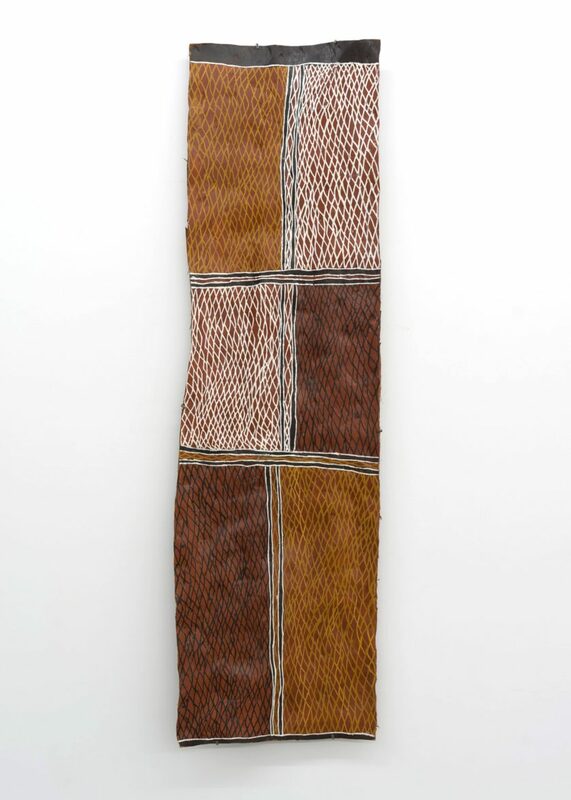 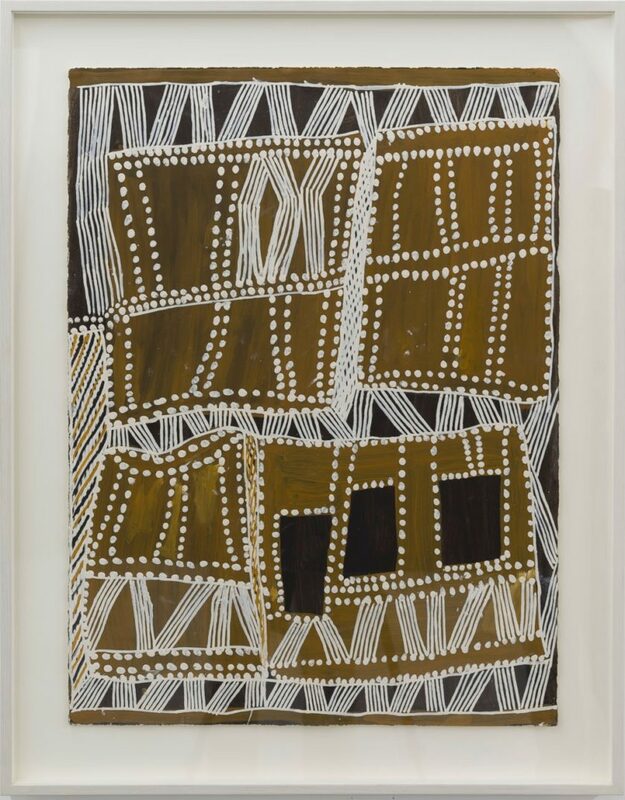 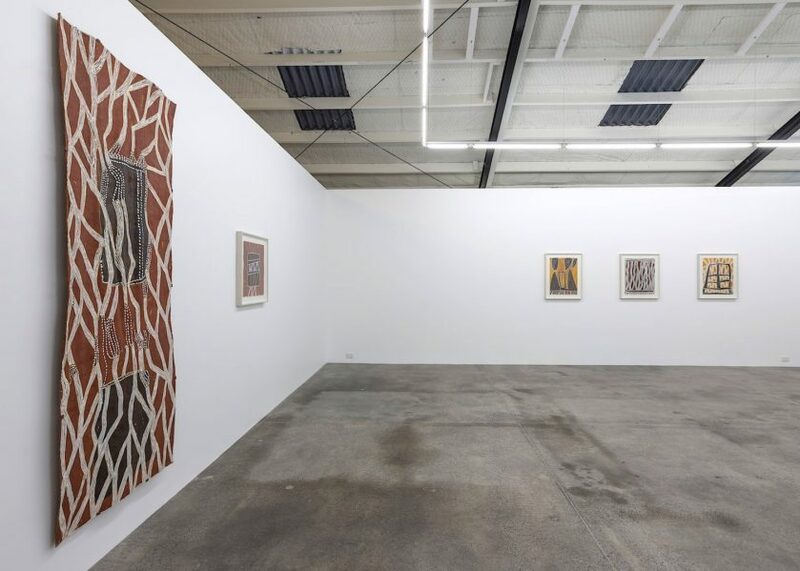 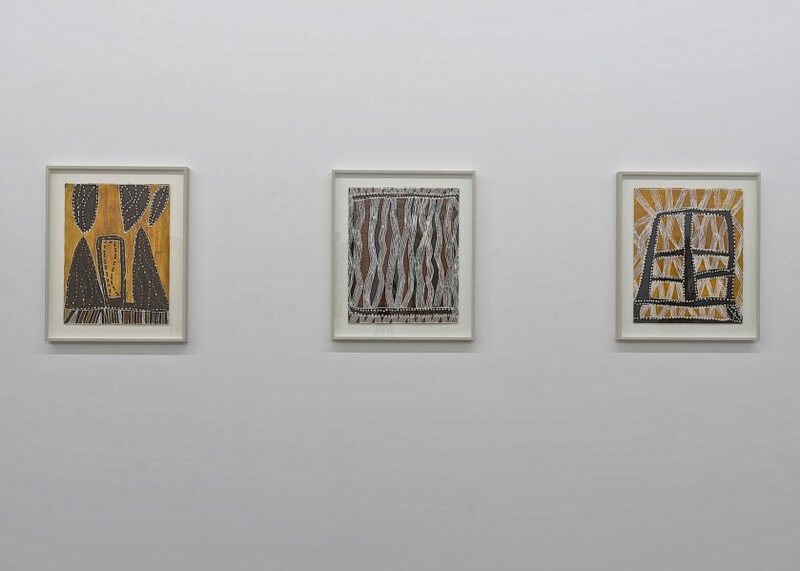 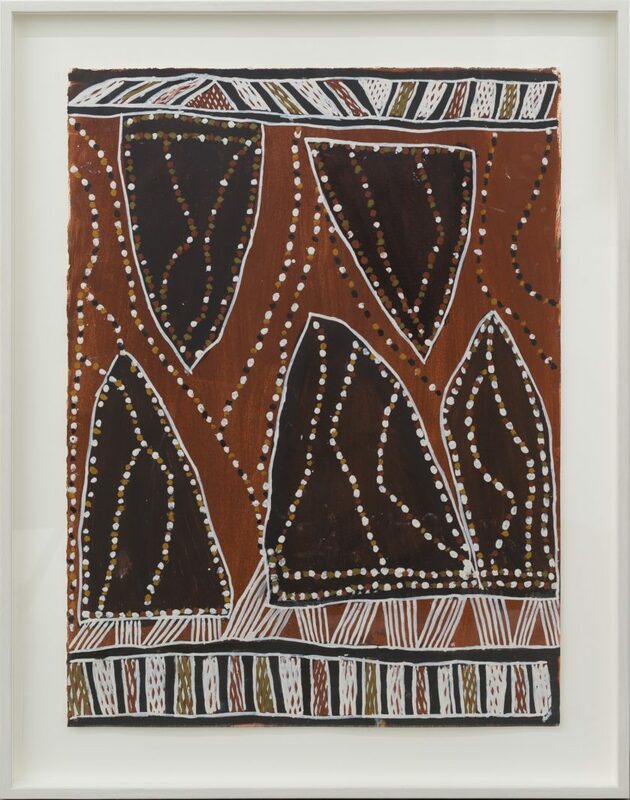 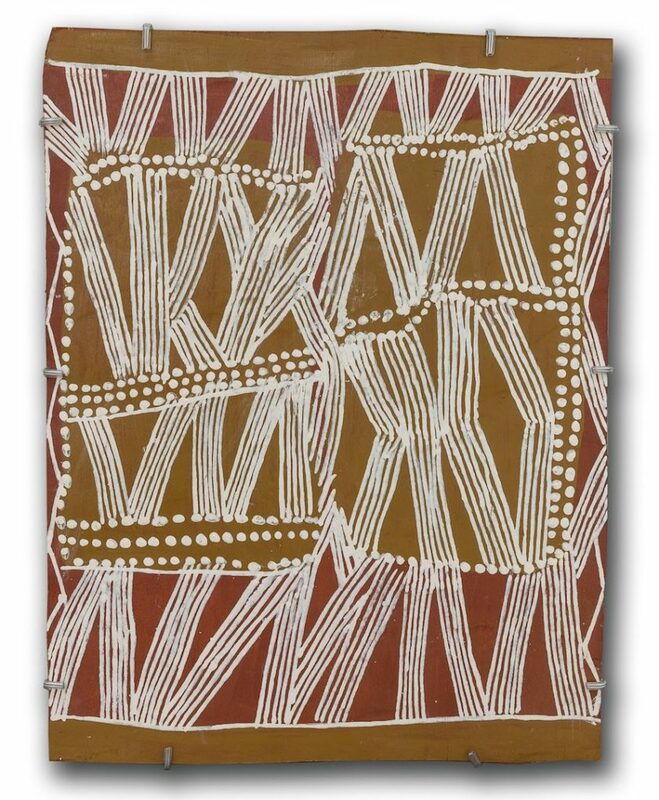 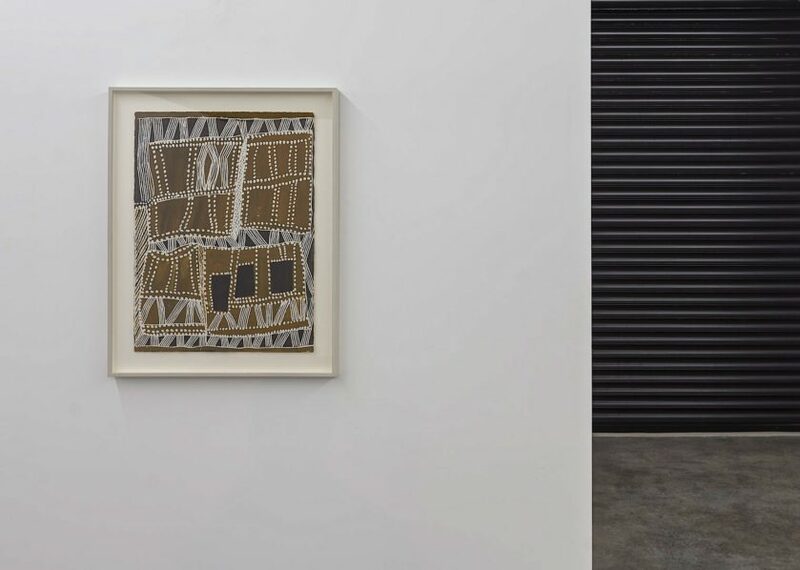 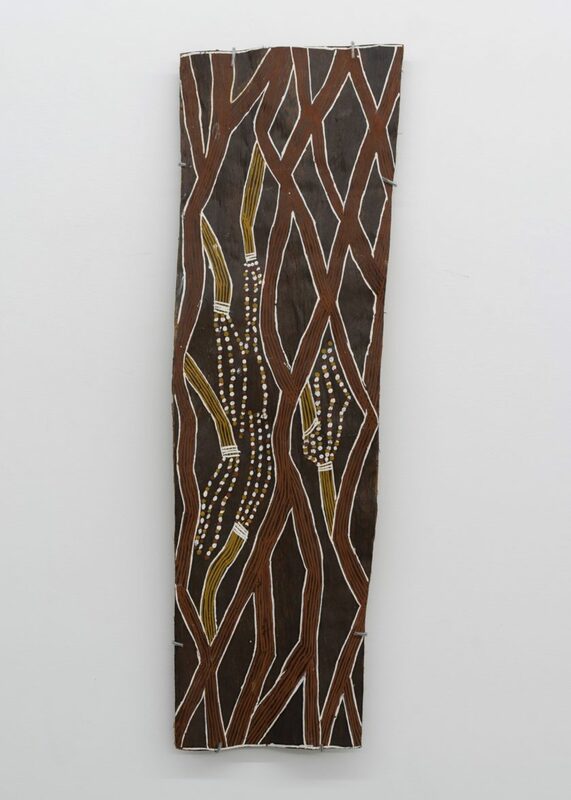 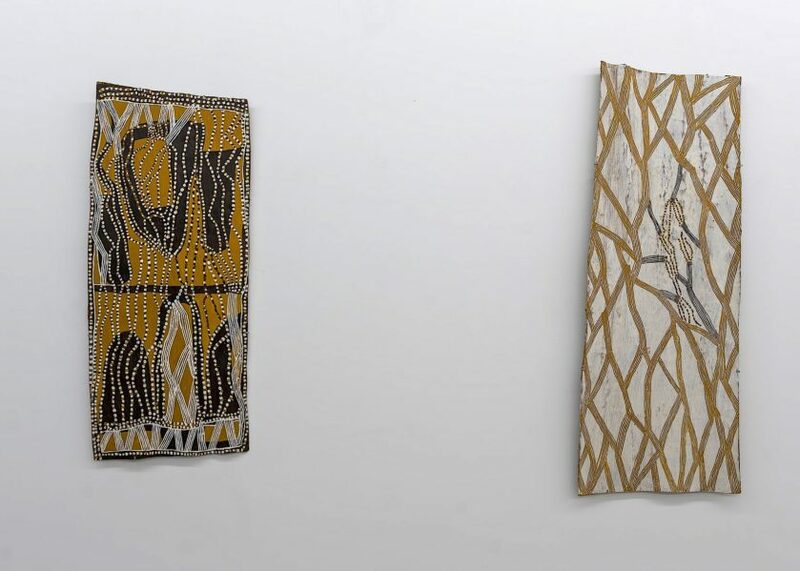 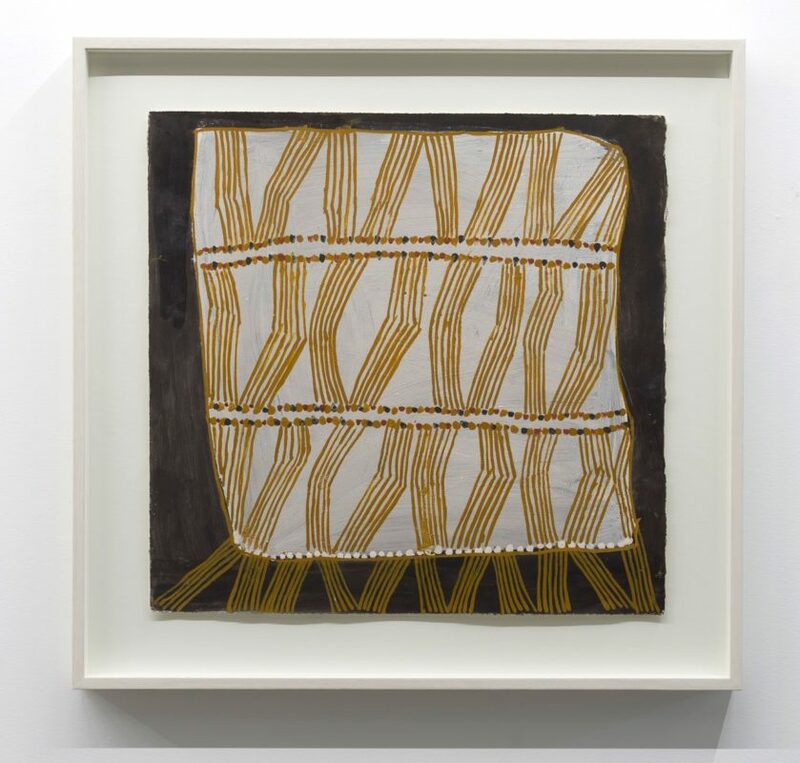 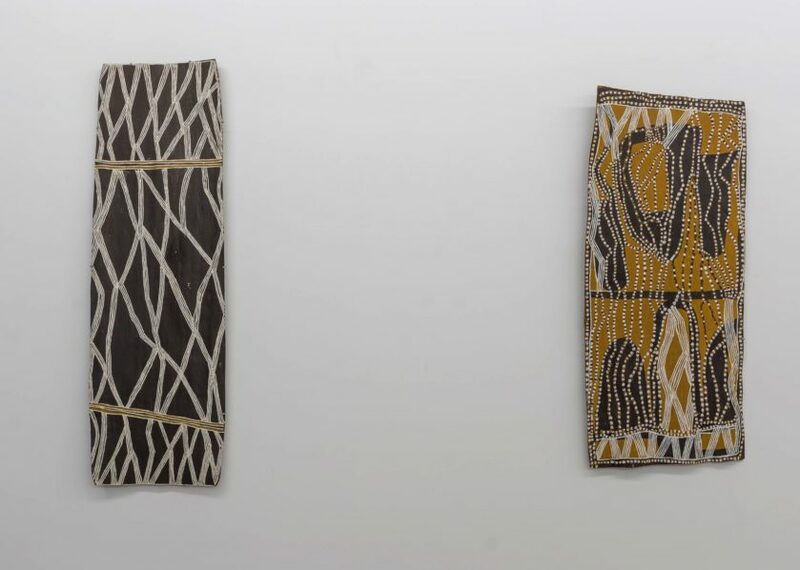 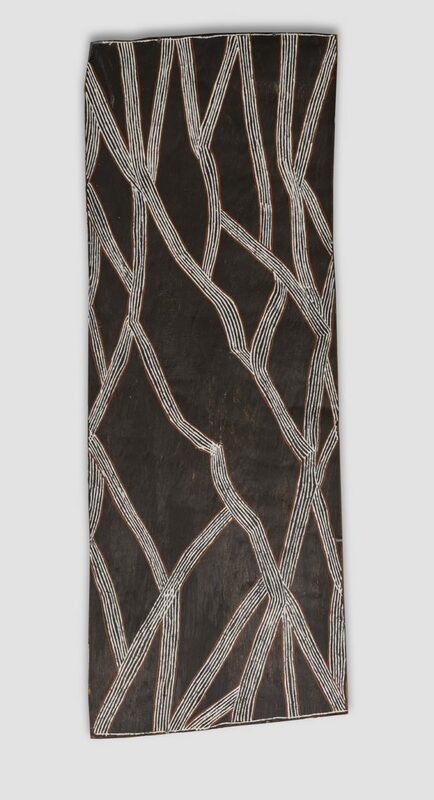 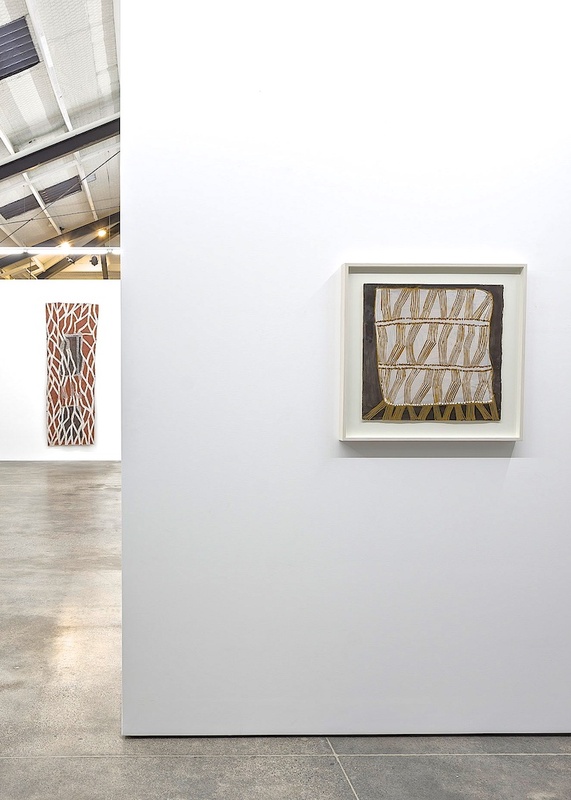 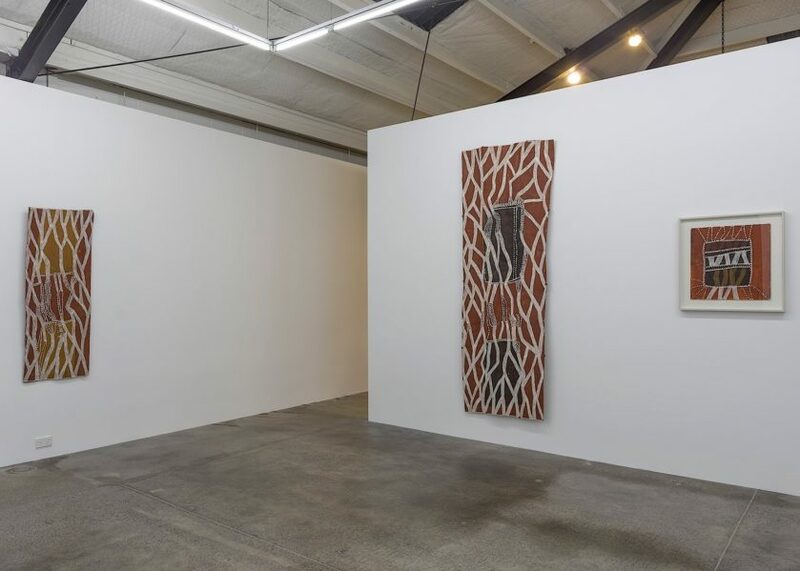 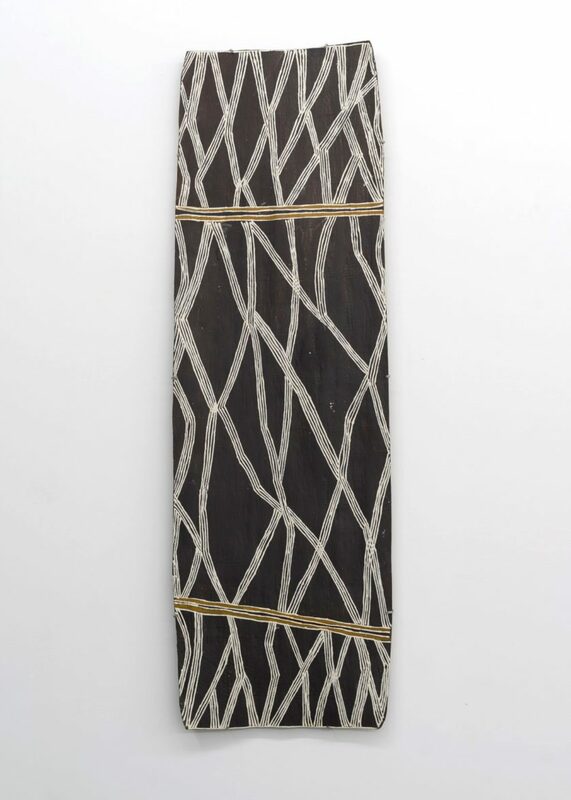 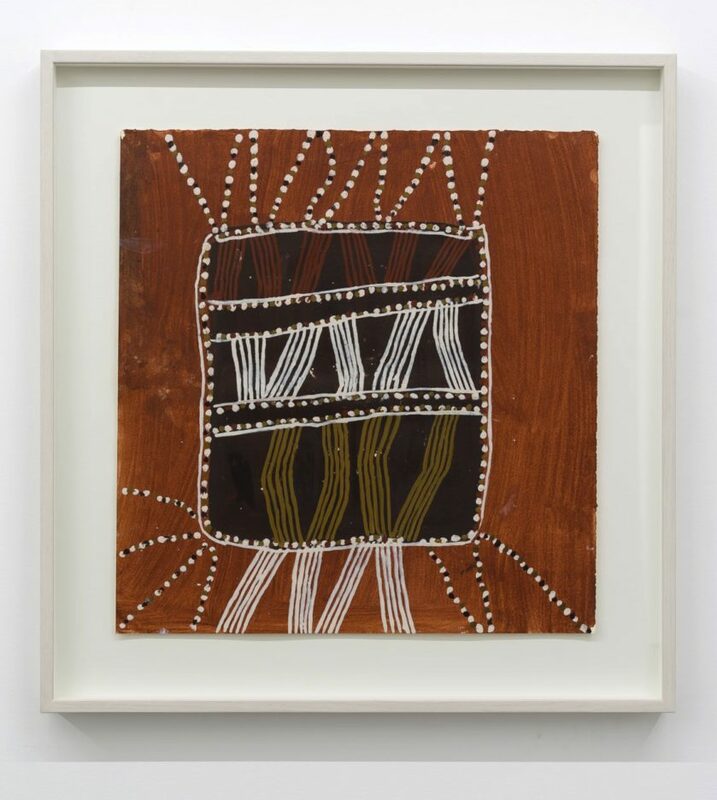 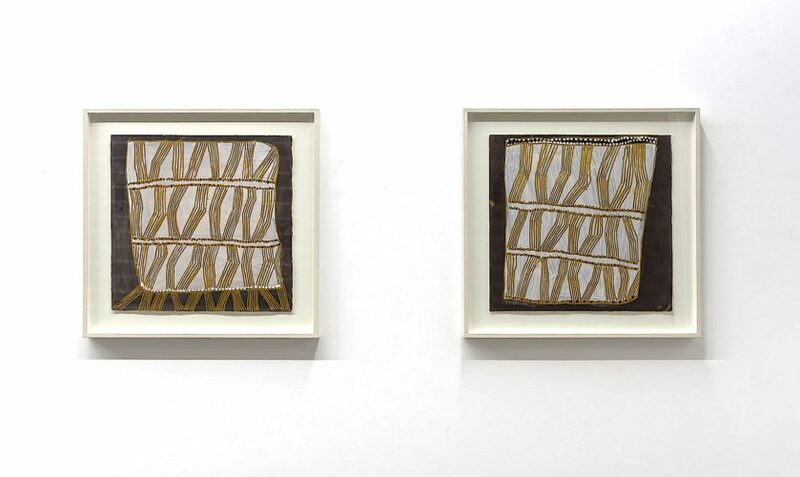 Tim Melville Gallery is proud to present, in partnership with the Buku-Larrnggay Mulka Art Centre in Yirrkala, an exhibition of 7 bark paintings alongside a new suite of 10 works on paper.